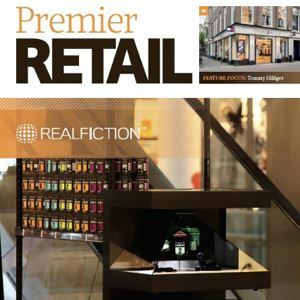 Realfiction Holding AB (“Realfiction”) announces a showcasing of its Magic-as-a-Service (MaaS) concept at the upcoming Retail Expo, an important global industry event taking place in London in the beginning of May. The event provides great opportunities to connect with executives from a broad range of leading European brand owners and retail chains. Since the launch of the MaaS retail concept in the second half of 2018, Realfiction’s Mixed Reality retail platform and service has been used in Denmark by several well-known brands from different product categories. By attending trade shows and events such as Retail Expo, Realfiction is aiming to broaden its customer base with additional large international brand owners and retail chains on a European level. 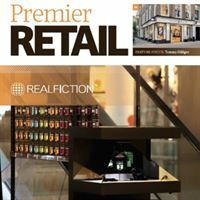 There is a strong awareness in the retail industry that brick-and-mortar settings must adapt to our digital age to stay relevant, and Realfiction is one of the few companies that offers an attractive bridge between the physical and digital in-store experience. Apart from attending the Retail Expo, the company has also been given the opportunity to front the cover page of the Premier Retail Magazine, one of the main industry publications distributed prior to and during the event days. This is an additional endorsement of our solutions that continue to amaze and create wow-factor. “Magic-as-a-Service has really started to take off in the beginning of 2019, as the concept really offers a new and unique way to do effective in-store marketing. Additionally, its superior scalability with over-the-air-updates opens up a whole new set of possibilities for the retail sector. This is something that we are very keen to explore in international settings with strong brand owners and retail chains,” says Realfiction’s CEO Clas Dyrholm.